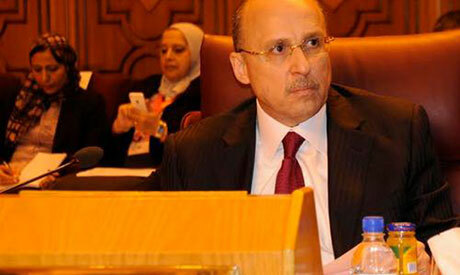 Egypt has 4,325 AIDS patients said health minister Adel El-Adawy in an event coordinated by the Arab League late Monday. The event was part of a global day to combat AIDS around the world. El-Adawy stated that this figure is a cumulative for 2014 thus far. Among the AIDS patients, 82 percent are men and 18 percent women in a country of 87 million. Transmission of AIDS in Egypt mostly occurs through sexual activity according to El-Adawy. The minister also highlighted that the ministry has a strategic plan to combat the prevalence of the virus in Egypt. "Our plan aims to lower prevalence rates of the virus in Egypt, implement a new treatment program for those infected with the virus and conduct biological and behavioural studies to determine the problem," he said. According to reports from the UN, the estimated number of AIDS patients in Egypt is much higher, coming in at 7,500. Ahmed Khamis, UNAIDS Country Coordinator for Egypt, explained to Ahram Online that the UN figure is higher based on estimates of undocumented cases in addition to 4,325 registered ones mentioned by El-Adawy. The UN is expected to issue on Tuesday a new report with a new goal to globally end AIDS by 2030 according to Khamis. Since the first case of HIV detected in Egypt in 1986, the Egyptian government has demonstrated a strong commitment to combating the spread of the virus according to a progress report issued by the UN in 2014. The report highlighted a total of 6,228 cumulative cases of HIV in Egypt through December 2013. The World Bank estimates that Egypt receives approximately $4,150,000 in HIV related assistance from external sources annually, according to the UN progress report. It was also highlighted that while prevalence rates in Egypt are low, they are high among specific groups such as street children. UNAIDS estimates that around 270,000 people are living with HIV in the Middle East and North Africa (MENA) region, an overall HIV prevalence of 0.1 percent among adults ages 15 to 49, and one of the lowest rates among world regions.